I know we’ve all be overwhelmed with Black Friday deals…. Cyber Monday deals… and too many commercials and ads!!!! We aren’t a big department store and just can not do the huge sales that they offer simply because we keep our price are as low as possible all year around!! So… I’d like to share our top five gift ideas for this holiday season! 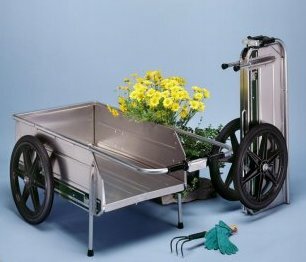 The Collapsable Cart that is Big on Hauling and Small on Storage! *Free Shipping to the Lower 48 States only! This Cart will not ship to other areas! Weighs only 33 lbs., but can haul up to 330 lbs. We have some great deals on these carts due to being a new item. Check out the many varieties of carts available!!!! 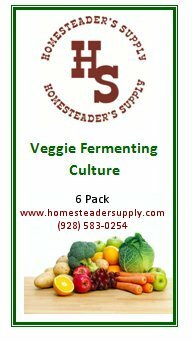 Now available from Homesteaders Supply, starter culture for fermenting your raw vegetables! 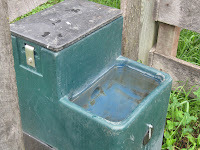 Perfect for use with the Pickle Pro Fermenting Lids!! 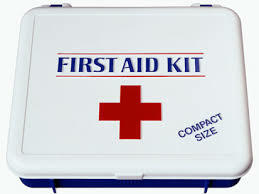 Manufactured by Homesteader’s Supply in Chino Valley, Arizona! Ferments Vegetables for perfect pickles, kraut and anything you can imagine! This traditional Bamboo Pasta Drying Rack is perfect for drying your cheese cloth as well as your fresh homemade pastas before cooking or storing. No more hanging cheese cloth on the knobs of your kitchen cabinet! 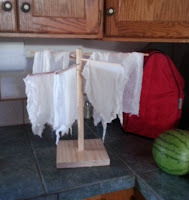 And what an easy way to also dry small dish towels! Cheese Making Kit for making Colby or Cheddar Cheeses exclusively from Homesteader’s Supply! This kit is the real deal, all the supplies you need for making real cheese just like the professionals, and there is enough culture to keep you going in your cheesemaking for a long time. And, who better to buy from than a company that does make cheese and will answer your questions! Add your favorite spices to create a variety of your favorite cheeses, such as chilli peppers, dill, chives, cilantro, garlic, roasted red pepper, sun-dried tomatoes, etc. And with this same culture you can even make delicious fresh butter! 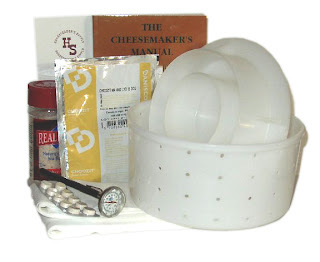 Most important because cheese making really is a science as well as a culinary art, we have added to this kit the best book called The Cheesemaker’s Manual by Margaret Morris. At Homesteader’s Supply Farm we have used many of the books available, but this one is great by far for an all around how-to, and why, and trouble-shooting, along with photos to help. 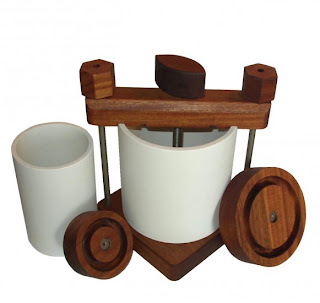 AND THE NUMBER ONE HOLIDAY GIFT IDEA…..
#1 – The Ultimate Cheese Press – a Holiday Favorite! Newly released on the market! This Hardwood Cheese Press was made for home cheese makers, designed and manufactured by Homesteaders Supply right here in the USA! 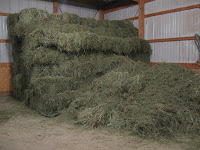 Special Sale continues… We even add in some 90 count cheese cloth… all you need to provide is the cheese to press! Hoops are made of food grade heavy duty water pipe. 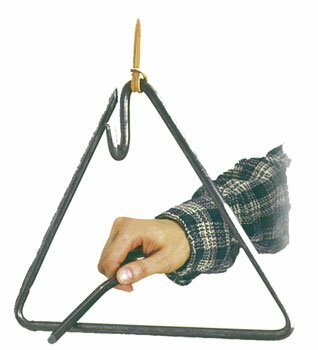 Professional cheese makers prefer this type of hoop over the metal hoop type, as it won’t cause too fast of cooling the cheese during pressing time. Made with all food grade materials, will last a very long time, sturdy hardwood with stainless steel fasteners that are made in the USA!. Finished wood with all natural 100% Tung Oil, no odor, no petro-chemicals, FDA approved for food contact… makes the wood water proof, will not turn rancid. We use real wood, not plastic.. latest research confirms that wood inhibits bacterial growth, which is not the case for plastics such as melamine. Now you know why everyone is going back to butcher block cutting boards! All of us from Homesteader’s Supply wish each and every one of you a Happy Holiday Season no matter your faith or celebration!!! 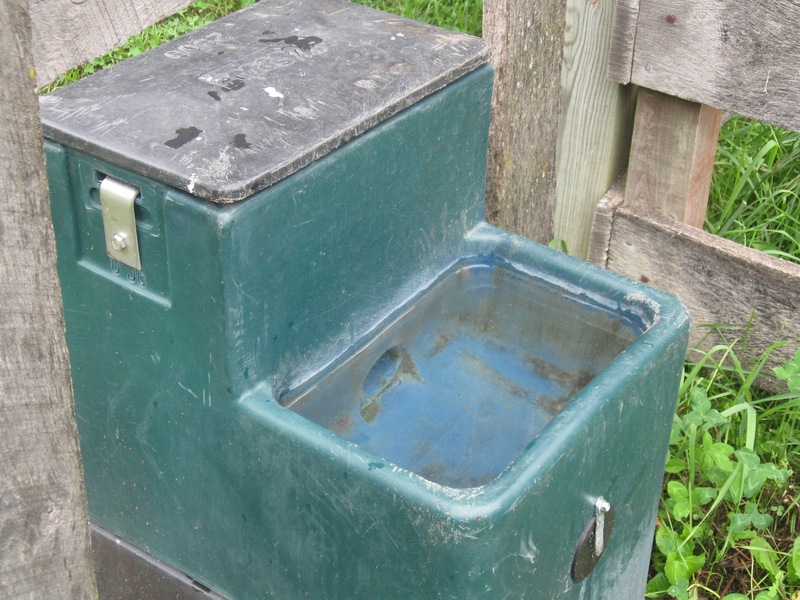 This entry was posted in Homesteading, Random Thoughts on November 24, 2012 by Homesteader's Supply.